Elephant Zooballs by Paper Street Games is a relaxing physics puzzle game where two elephants have been separated and must be matched together in love to advance to the next level. 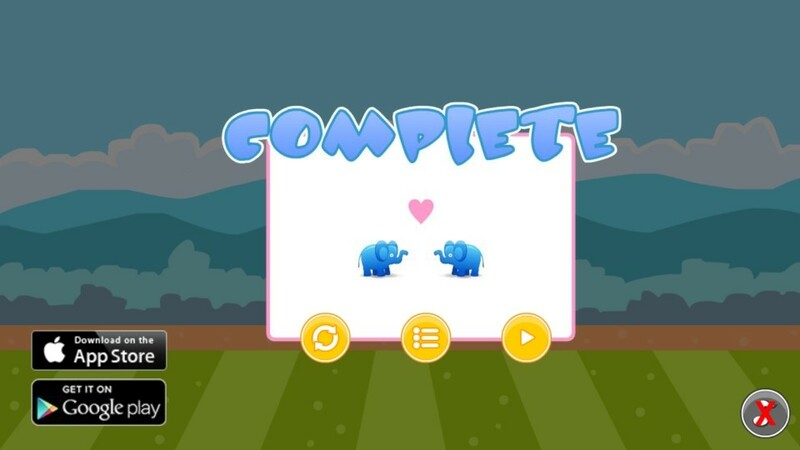 Match the two elephants together for love by removing blocks from the physics puzzle. A relaxing physics puzzle game where two elephants have been separated and must be matched together in love to advance to the next level. 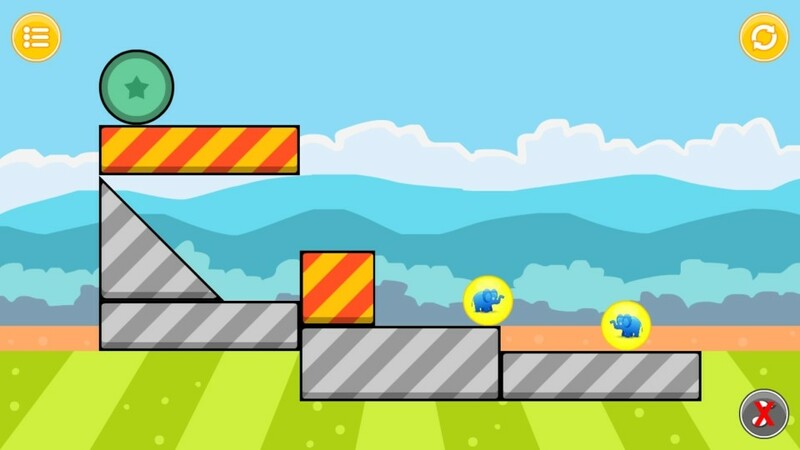 Help the elephants find their partners by removing blocks and triangles to trigger a chain reaction in the physics-based world and roll the zooballs towards eachother. Can you help the elephants find love? Please note that this is the demo version which contains only 9 playable levels. 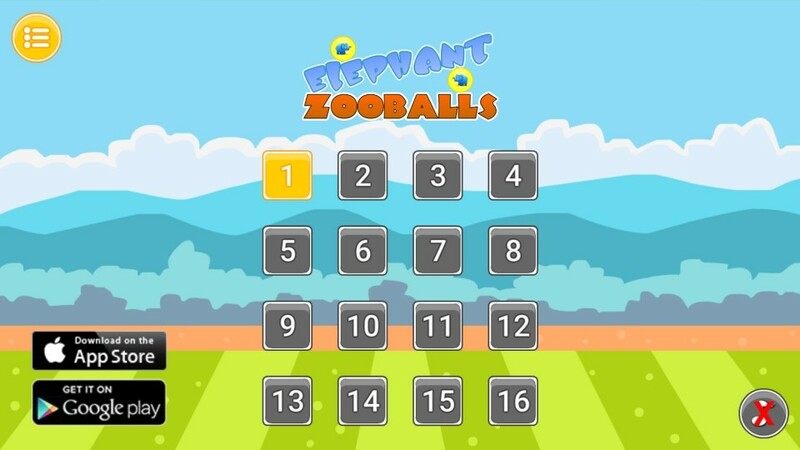 Elephant Zooballs is a puzzle game similar in concept to the Cover Orange series. 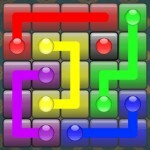 However, instead of moving blocks and preparing for the scene, Elephant Zooballs only requires you to remove colored blocks by clicking and everything will start to unfold. This creates a new set of gameplay element to be considered which is timing. Some of the demo levels require players to time their clicks strategically so that the elephants can meet and touch each other. Overall, the simplistic control wins points for me over Cover Orange. The gameplay and puzzle, I would put on a par with Cover Orange. Finally, the visuals are inferior to that of Cover Orange.